The proposed book is best described as a linguistically oriented textbook taking the grammar of English as its subject matter. It is directed to professional teachers of English (ESL and EFL) and their students, as well as those currently training to become teachers of English. The book is also likely to be of interest to interpreters, translators and other English language professionals. It will explore selected aspects and problem areas of English from a broadly "functional" linguistic perspective. My experience as a teacher and teacher trainer has shown me that this perspective has the potential to inspire teachers and students with a genuine enthusiasm for the grammatical features of English and that it often enables them to "make sense" of the grammar in a way that all too often other approaches fail to do. An important focus of the book is on understanding grammar as a series of conventionalized patterns rather than a set of rules (which is how grammar has traditionally been presented). 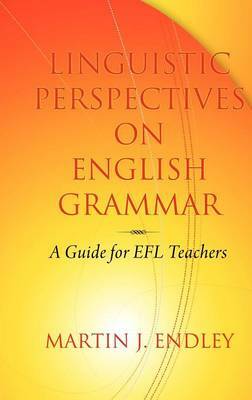 Moreover, unlike many other grammar books, this book emphasizes how the grammatical constructions under consideration are employed in various types of communicative situation, attention being given to the importance of discourse context in interpreting the target forms. In line with contemporary linguists generally, the approach adopted is descriptive rather than prescriptive. While the main focus is on English, I offer occasional comments on how the issue under discussion is expressed in languages other than English. Apart from the inherent interest which I hope such comparisons may have for the reader, I take the view that these can be helpful in casting further light on the grammar of English.